It’s hot. It’s Friday. It’s a Summer Friday. If you work somewhere that still gives employees the genteel publishing perks of yesteryear, then you are almost done pretending to work while making afternoon plans. So hurry up, happy hours don’t drink themselves. 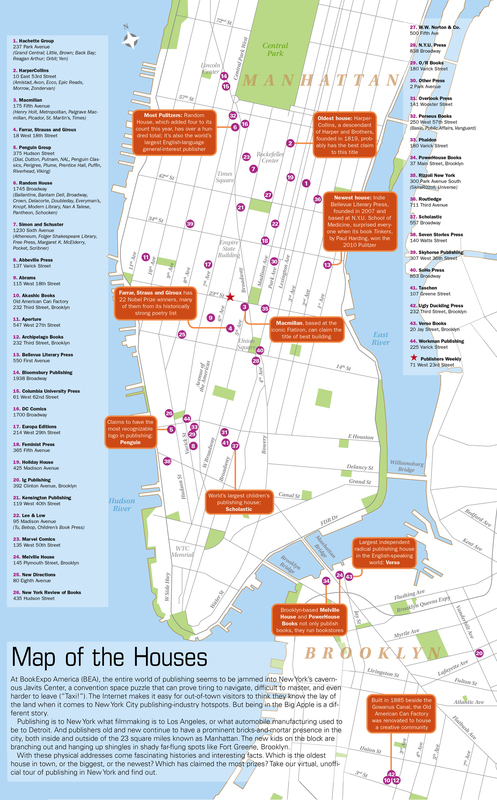 Here is a handy map showing where New York City book publishing houses are located to help with your planning–unless, of course you are stuck enjoying BEA, in which case, have fun. Alright, get out of here already.